HTC has been experiencing some turbulent times recently, but hopes to change its fortunes for the better with the new One. This flagship Android is highlighted by a unibody, zero-gap construction, built from a single block of anodized aluminum. The solid construction of the One makes it one of the best looking phones on the market. But it also means that the One cannot be taken apart. You will find the micro-SIM slot located on the top-left side, while the One no longer has a slot for microSD storage, leaving users with no way to expand storage on the device beyond what’s already there. Software-wise, the One launches with Android 4.1.2, with HTC’s Sense software riding on top. Sense, now in its fifth version, comes across as the least grating way of skinning Android that we have seen thus far. Sense now features what HTC dubs BlinkFeed, which looks like a mixture of Windows Live Tiles and Flipboard. Integrated as part of the main home screen, BlinkFeed lets you quickly glance through your preferred content without having to launch multiple apps to achieve the same purpose. 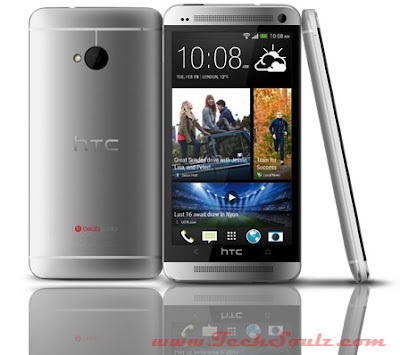 The HTC One sports a 4.7-inch display and is capable of rendering visuals in Full HD resolution. This gives the One a pixel density of 468ppi, which makes the display easily one of the sharpest, if not the sharpest, we have ever seen. Internally, HTC appears to go all the way with the One. 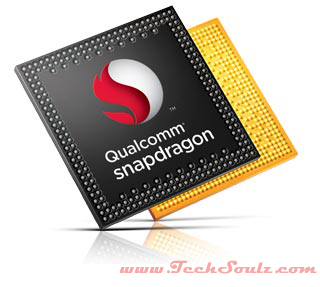 It features a Qualcomm Snapdragon 600 chipset, which pairs a 1.7GHz quad-core CPU and the Adreno 320 GPU. On our Quadrant benchmark test, the One scored an astronomical 12413 points. The downside is that it lasted a mere 4 hours and 17 minutes during our video loop test on its non-replaceable 2300mAh battery. Where HTC really tries to differentiate the One is in its Ultra Pixel technology. HTC went with a 4-Mega Pixel sensor instead of the more common 13 Mega Pixels. However, HTC one-ups the competition with much larger pixels given the same sensor size, which stands at 1/3.2 inches. The end result is a camera that does well in low-light, but elsewhere, comes across as average. There is no question that the One is an amalgamation of the best hardware, technology, and features. HTC has done really well in producing a smartphone that not only looks good, but also performs well in just about every scenario, with the exception of imaging performance and battery life. HTC’s clearly putting a lot of hope into the One to succeed, and we can certainly agree that it is a great smartphone that we would wholeheartedly recommend.